North Korea's media covered growing trade disputes between the United States and China on Friday, days after US President Donald Trump accused China for hampering his nuclear talks with the North. "Serious frictions are taking place between China and the US over tariff issues," said the Rodong Sinmun, the official newspaper of the Workers Party of Korea. "In particular, China exporting many items to the US is taking the hit." The newspaper said that concerns are mounting that the ongoing trade disputes involving the world's two largest economies could have a detrimental impact on the global market. The US and China have engaged in an escalating trade war for months by slapping tariffs on each other's products. In the latest development, China announced a plan earlier this month to impose tariffs on US$60 billion worth of American products. The newspaper called the latest step a "retaliation" against the US for threatening to impose additional taxes on Chinese products. "The US is currently threatening China that it will levy additional tariffs on Chinese products, and China stands ready to strongly respond till the end to the US offensive," it added. 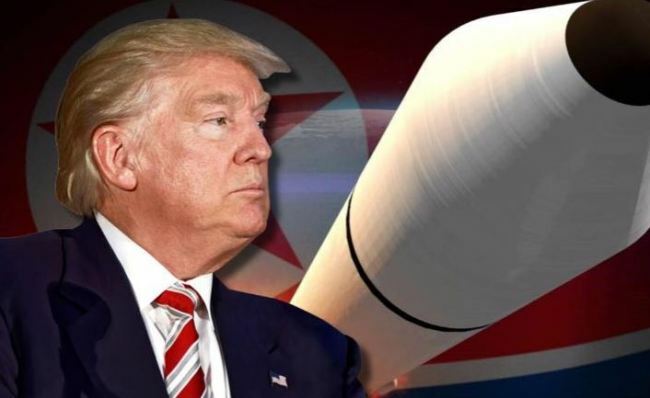 The North Korean media's weighing in on the trade disputes came days after US Donald Trump blamed the trade disputes with China for hampering his efforts to denuclearize North Korea. When he canceled a trip planned by his Secretary of State Mike Pompeo to Pyongyang last week, Trump cited lack of progress in nuclear talks with North Korea. But he also blamed the ongoing trade friction with China, saying, "I do not believe they are helping with the process of denuclearization."